After the shooting in Parkland, Florida, she realized that people will listen to teenagers if they’re organized. As a high schooler, Faith Ward cared about climate change. But she didn’t believe anyone would pay attention if she voiced her deep concerns. But when the school shooting happened in nearby Parkland, Florida, Ward watched her peers begin pushing for gun control. She was inspired to join them, and helped organize a local rally. Faith Ward (second from right) with friends, following the Climate March in July 2018. Photo: Courtesy of Faith Ward. Ward realized that she could apply the skills she was learning to climate change. 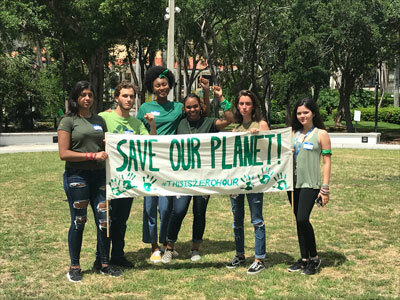 So this past summer, she joined a youth campaign called Zero Hour, and helped lead a climate change march through her home town of Fort Lauderdale. Today, Ward is in college, and she encourages other students who are worried about climate change to speak up and get involved, too. 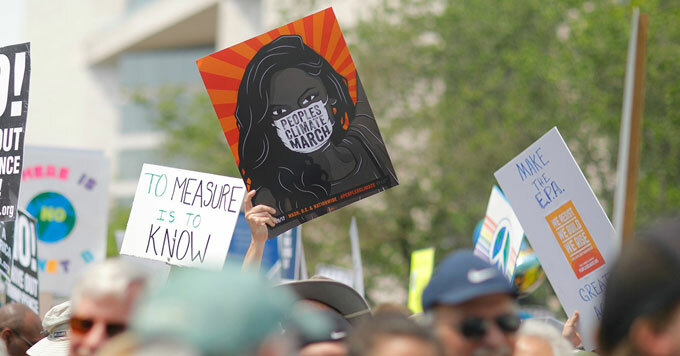 Photo (top of page): People’s Climate March 2017.